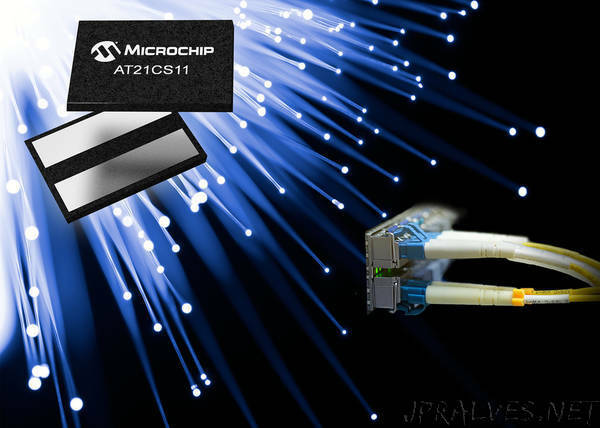 “A single-wire, two-pin Electrically Erasable Programmable Read-Only Memory (EEPROM) device with a 2.7V to 4.5V operational voltage range is now available from Microchip Technology Inc. (NASDAQ: MCHP). The AT21CS11 is ideal for identifying and authenticating remote items, such as cartridges or cables, where space for electronic components is limited. Each AT21CS11 contains both a preprogrammed unique serial number and five EEPROM memory sections. Any or all of the memory sections can be permanently locked by the end-equipment manufacturer to allow tracking of products and identifying attachments to assist with counterfeit prevention. The EEPROM device is ideal for customers who need to warranty their product or prevent counterfeits and ensure proper continued operation of their goods through authorized replacements.